I know some of you after reading the title of this post were like, "Inga what?" I'm I right? so what is Ingapirca? 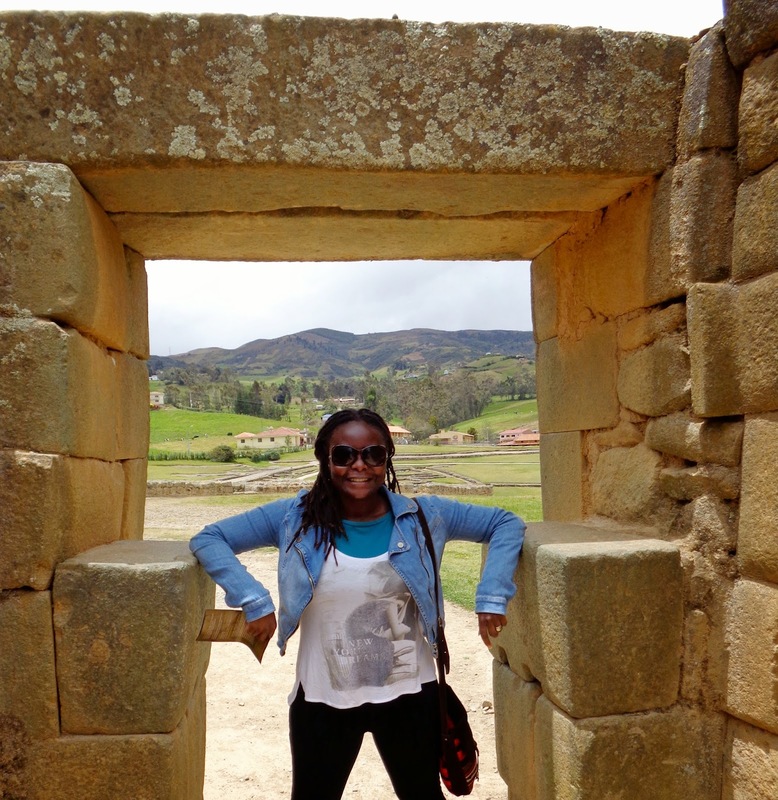 the word Ingapirca means wall of the Inca and the ruins happen to be the best preserved pre-Hispanic architecture in Ecuador built by the Incas. The original inhabitants of this site were the Canari, an indigenous tribe. As the Inca empire expanded from Peru and extended to what is now known as Ecuador, the Incas overcame the Canaris after intense fighting but despite their victory, they did not force the Canaris to fully assimilate to their customs. The Incas did however influence their superior architectural structures and infrastructure improving on the framework of the Canaris. How is that for a bit of history? not bad huh? 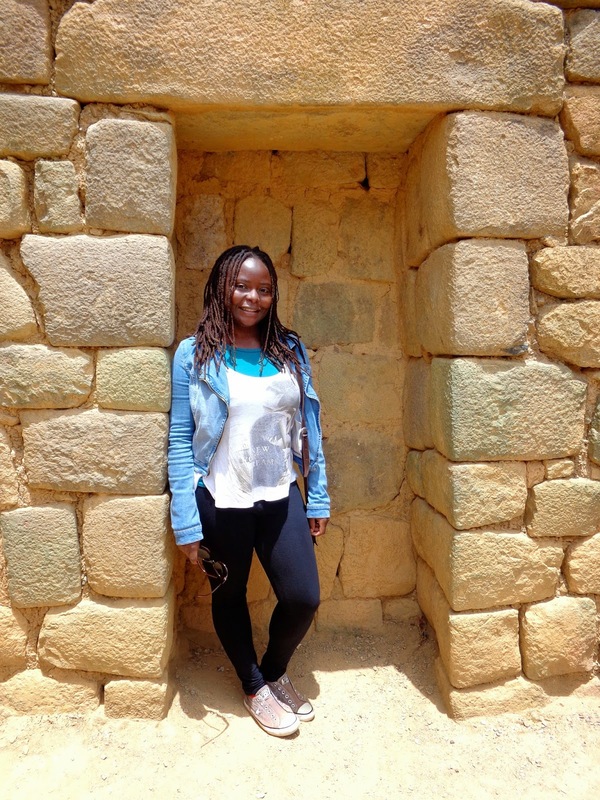 When I heard about these ruins I was interested in checking them out because I have a fascination with the Incas and their history so any opportunity to learn more about them is always welcome on my part. Taking a tour would have cost about $45 to $50 but the owner of the hostel I am staying at suggested that if I went solo it would be way cheaper and could be easily done. From Cuenca I took a bus at the terminal that was fortunately heading straight to Ingapirca, this bus always departs at 9 in the morning. I am not sure if they have other buses going directly to the ruins at other times. It cost me $5 for a round trip ticket. Ingapirca is about 2 hours away from Cuenca which isn't such a long trip, I slept through most of it as usual. The bus dropped us off at the entrance of the ruins so that was really convenient, all I had to do was cross the road to go to the ticket office and buy my entrance ticket to the ruins. For foreigners the cost is $6 but it's $2 for Ecuadorians. At the ticket office you can request a guide and their services is included in the entrance fees. They did not have an English speaking guide today but it worked out just fine for me because I could follow and understand the Spanish speaking guide pretty well and it made me realize just how much Spanish I have learned so far, I am so proud of myself! Spanish is not an easy language ya'll! The ruins are not as grand as the famous Machu Picchu in Peru but the history is still fascinating and very impressive. I gotta tell you, those Incas were bad arse! and I mean it in a good way, they were way ahead of their time. This was the guide, she did a really good job of explaining everything. That's it folks! after the tour I got lunch at a nearby restaurant, walked around the area a little bit and finally caught the bus back to Cuenca. The same bus showed up at 1 pm as earlier specified and it went directly back to Cuenca dropping everyone off at the bus terminal. In total I ended up spending $15, not bad huh? Ingapirca is located at an altitude over 10000 feet (over 3000 meters) above sea level so it can get really cold and it's a good idea to dress appropriately. Good thing I wore layers plus the sun came out often so it wasn't as chilly all the time. Speaking of cold, at night it gets so cold you should see how I have been layering before going to bed. Gloves included! I am not even kidding you. I can not wait to get back to my bed and my room in Quito. For English speakers you describe people from Ecuador as Ecuadorian right? but here in Ecuador they say Ecuatoriano or Ecuatoriana depending on the gender of the person. The room I am in at my hostel smells of mould and air freshener which I think they just plugged in to try and mask that moldy smell. Yeah, not working at all! For some reason I feel like I have been in Cuenca for so long! maybe it's because I miss Quito or rather the people I know in the city. I can't wait to get back. Good thing I found a cheap one way flight to Quito so I will not have to take an 8 hour bus ride back, actually the airline surprised me by calling me yesterday to inform me that my flight would be leaving 2 hrs earlier than scheduled. Can't complain about that! If I sound grumpy it's because I feel tired and cold. On that note let me get some sleep!